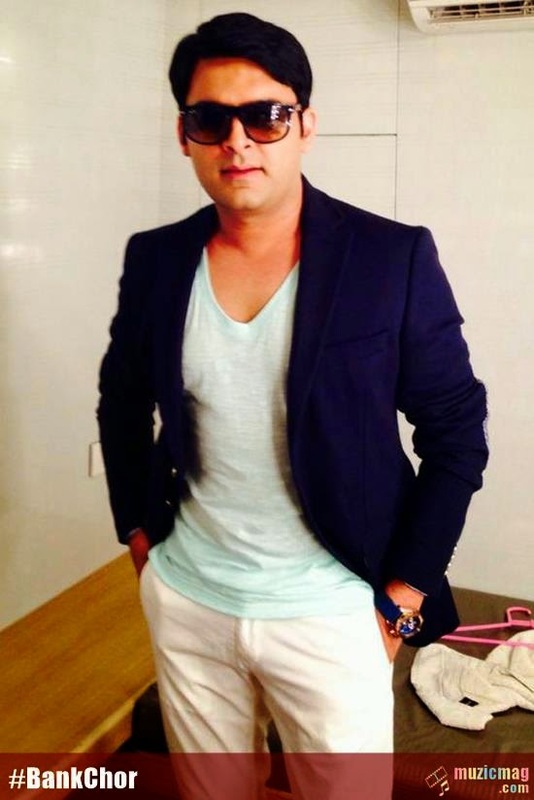 Kapil Sharma's First Look From His Upcoming Film 'Bank Chor', Bank Chor is the Debut Movie of Star Comedian 'Kapil Sharma' directed by Bumpy. It is crime comedy genre movie being produced by Ashish Patil. Bank Chor is the Debut Movie of Star Comedian 'Kapil Sharma' directed by Bumpy. It is crime comedy genre movie being produced by Ashish Patil. Film is story of Bank Robbery, when 3 partners choose a wrong plan and then crime turns into comedy. Bank Chor's expected release date is March 6, 2015 but it may change later this year. Female lead of the Film is not revealed/Final yet. A few days back, Kapil-KRK Controversy exposed that Nargis Fakhri was approached to do female lead for the film but she denied to accept the role.